One of the biggest worries for parents with a child who is a picky eater is whether they are getting enough nutrients. Some research shows that those who eat less, or a less-varied diet than their peers, don’t get enough nutrients and weigh less than others in their age group. i[i] Which is why it’s important to look at different ways to encourage your children to eat healthily. Meal times can be a battle and children love to feel like they have some control. So use this to your advantage. Take them shopping and let them help plan the meal by providing some healthy choices for them: would you like the broccoli or the cauliflower, lamb or salmon? Then get them into the kitchen helping with preparation. Exploring by smelling and tasting foods really encourages a more diverse palate. And as always with kids, make it fun! Children learn by imitating those around them. So sit down with your children and eat those Brussels sprouts with a smile on your face! 3. Make meal times fun. Meal times are a wonderful opportunity to sit with your family to connect, have some fun and enjoy your food. 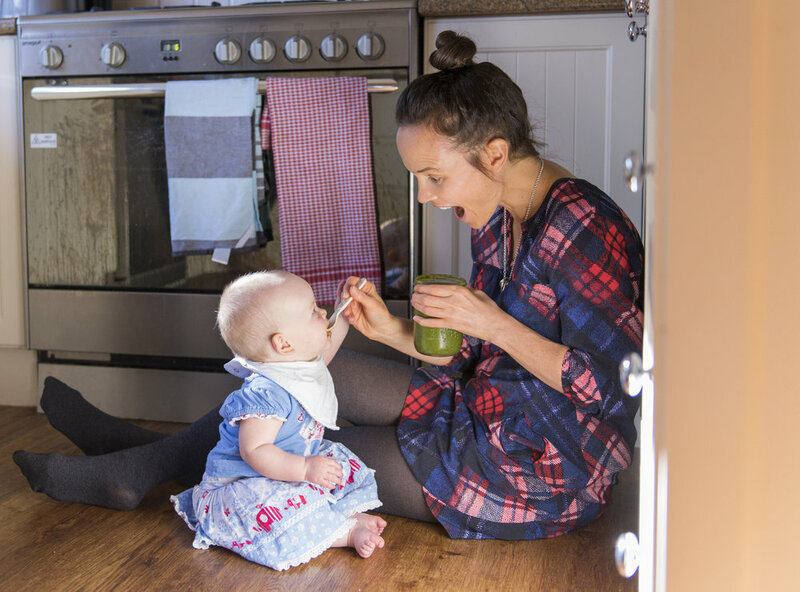 Yes, it can be stressful when you have a fussy eater but shifting the attention away from them often helps and you may just see your child happily eating their vegetables in the middle of a noisy family gathering. For younger children, playing with food may be messy, but it’s a part of them exploring and learning to eat new foods. You can encourage this by perhaps arranging food in the shape of a face, or even a house, and asking them to eat a “nose” or a “door”. They’ll love it! Or give foods ‘Superkids powers’. One study found that giving foods silly names encouraged fussy eaters to try new tastes.iv So let your children’s imagination run wild and see who can come up with the funniest name for broccoli (known as monkey tree in our house). It can be tempting to throw in the towel and rely on your child’s favourite meals in order to get some food into them. However, perseverance will pay off. Research shows that children may need to be exposed to a food 8 to 15 times before they’ll try it and accept it. [ii]i Don’t give up! Children respond so well to praise and positive reinforcement. Never punish your children around food but rather celebrate every small step in the right direction. It can be very tempting to try to disguise foods or hide them to boost your child’s intake. This is fine on one level but can sometimes delay acceptance of foods and so you’re stuck hiding the spinach in their food until they go to university! I suggest a combination of offering the whole food as well as hiding some – here’s where you can get sneaky with your ingredients for the extra nutrient hit. For example, by adding blended cauliflower to home made chicken nuggets you can help increase your child’s vitamin C intake; or pureeing broccoli, carrot and zucchini into the tomato sauce for your Bolognese is a great veggie hit. Smoothies are also a tasty option. My toddler’s favourite is made with frozen berries, kale, avocado and cooled chicken stock. Have a clear understanding of what your child should and shouldn’t (excessive refined sugar!) be eating. Know the correct portion sizes and servings. Then plan your shopping and your meals for the week ahead. Only have the foods in your home that you want the family to eat. We are all susceptible to poor food choices when we are tired or time poor. Making the right choices for our children can be hard but with the right help and support it can be made easier. Dr Deb Levy is a consultant pediatrician with a unique holistic approach to children’s health and wellness. Dr Levy is committed to providing the highest quality of paediatric care for families who want a holistic approach to health and a strong therapeutic relationship with their doctor.